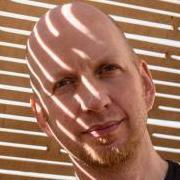 Host's note: this is part of a large topic that has been split into smaller segments to reduce the load on our servers. The previous segment may be found here: The Bread Topic (2015-2016). 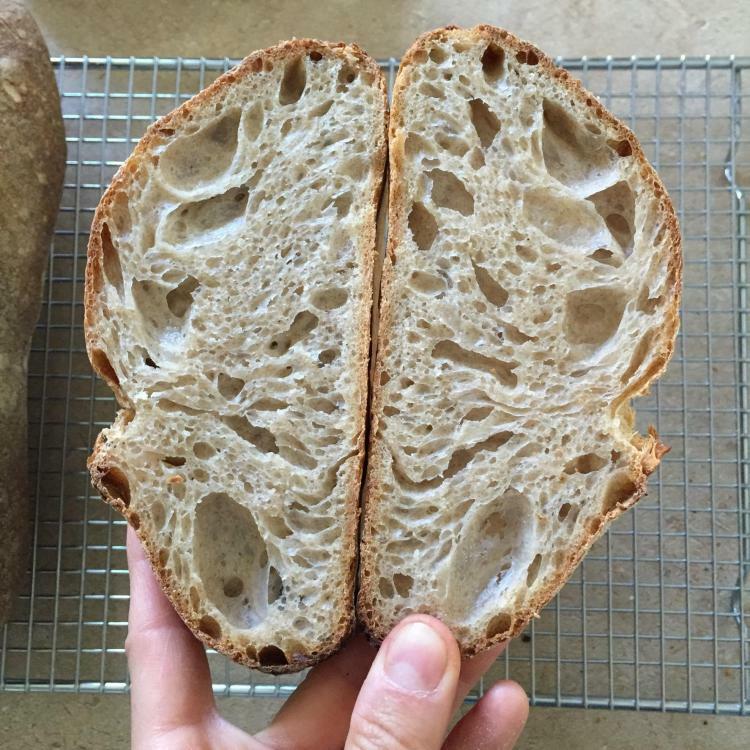 I've been trying to settle on a formula for a nice, basic, no frills sourdough which my friends (with zero interest in whole grains) can enjoy, and I think I've found my winner in a country white (10% w/g spelt) with 80% hydration. Mild, mild sourness despite the 12 hour cold proof. I want to try holding back some of the water to see if I can achieve better loft, but otherwise, I am happy with the formula. Was craving the texture and flavor of no knead bread and banged out the first one in six months this morning. Here is what's left after I had toast. Now I'll be "needing" some more flour, for sure! How is the starter doing, @paulraphael? Sorry about my delay in responding, I hope my answer will still prove useful. 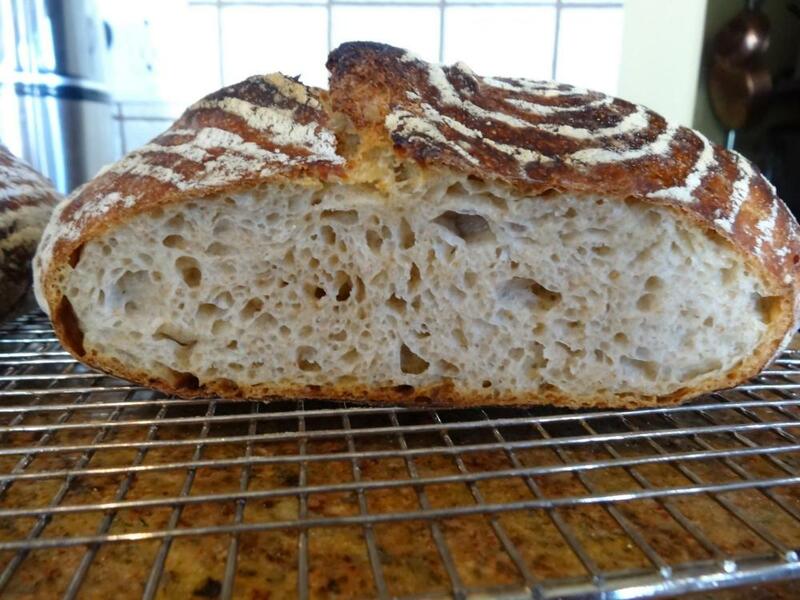 I have Reinhart's book, and I love it for yeasted stuff, but for sourdough, I myself look elsewhere. How do you like your cookbooks? Dependable? Technical? Full of pictures? Modern? -clear and detailed information, dependable formulas and a quiet but contagious love for the craft of breadmaking - J. Hamelman's Bread. If I have a question about sourdough, it's the first reference I check. JH is the Bakery Director at King Arthur Flour, if I'm not mistaken. There are very useful step-by-step drawings, but don't expect many pictures, and you gotta love arithmetic because every formula is given in oz/g for a production environment (10 loaves etc), and only in cups for 1-2 loaves. I can PM you a pic of a formula if my description is not clear. It is technical, yes, however I would not call the book "modern." -if you love whole grains check out Tartine nr. 3, by Chad Robertson of the famous Tartine bakery in SF. Definitely modern, the book looks beautiful to me, with its full-page images of incredible crumb shots, but the doughs are so very wet, and I feel my skills level is inadequate at this point (unless I change the formula by holding back some of the water). 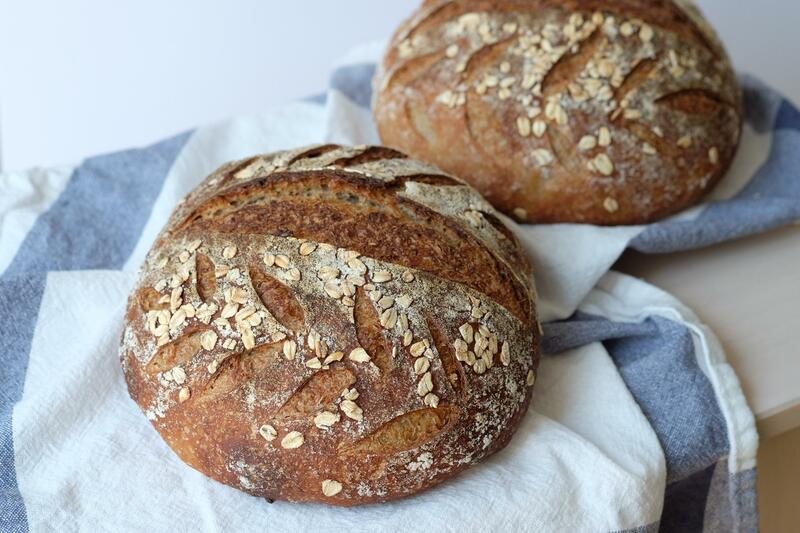 I love the idea of porridge bread, I just have not been able to successfully make one yet. Bonus points for the wholegrain pastry chapter, it's something valuable to me. 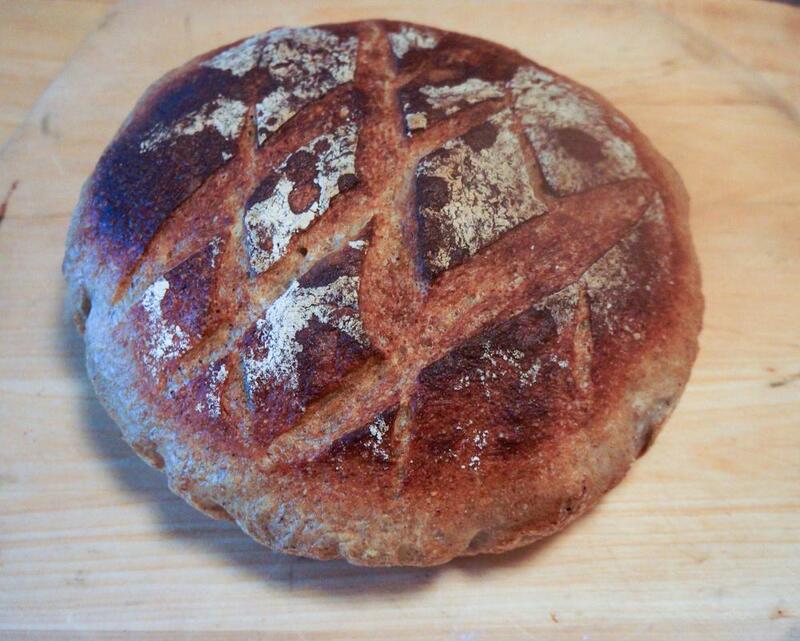 -I've received in the mail just days ago Sarah Owens's Sourdough. She has won a James Beard award for it. Rustic breads, and other baked goods made with leftover starter (madeleines, pies, savoury tarts, sablés, a bundt, couple cakes etc). Very interesting formulas, there's a nettle and ale bread, smoky chili bread, a turmeric and leek levain, blue corn pain épi. Beautifully photographed. Whole grains. Botanical Latin in the recipe notes. What's not to love?!? Lol. the starter's going great. My goal is pizza, but have been making one or two big boules a week and am gradually refining the process. I've been finding most of my information online. I realize I don't care too much about formulas and styles; I'm not trying to build a repertoire of different kinds of bread. I have an idea of the kind of daily bread I like (a S.F.-like sourdough boule with a bit more subtlety) and what kind of pizza dough (about 3/4 of the way from NYC to Naples). What's most helpful is sources on the science and on techniques. The folklore and self-contradictory advice and anti-science makes me lose my mind. I don't know how anyone puts up with it. My best source so far has been at pizzamaking.com. I've found things like temperature/activity graphs for wild yeasts and lactobacilli. Between this and understanding gluten development it seems you could make whatever kind of bread you wanted. I've already disowned a lot of what I've learned from Peter Reinhart. I've made pretty good bread by his methods, but his arguments go against the science. 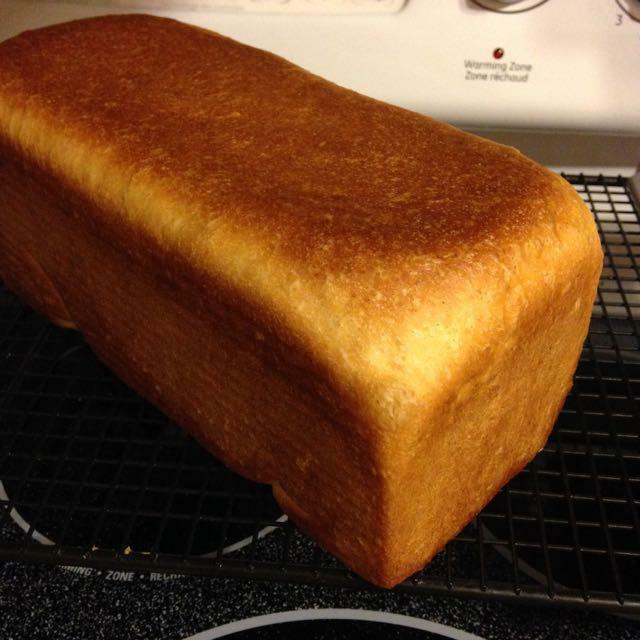 You can make the same bread or better bread by faster and simpler methods. I'm intrigued by Hamelman ... maybe I'll get his book. But may be content with the web for a while. I'll check out wildyeast blog and perfectloaf. Thanks again! Hamelman's book I own and recommend. I'm about to go start shaping tonight's CSO loaf. I've bookmarked a few of Sarah Owens's recipes from her book, and this is the first bread that I made, honeyed oat and spelt levain. 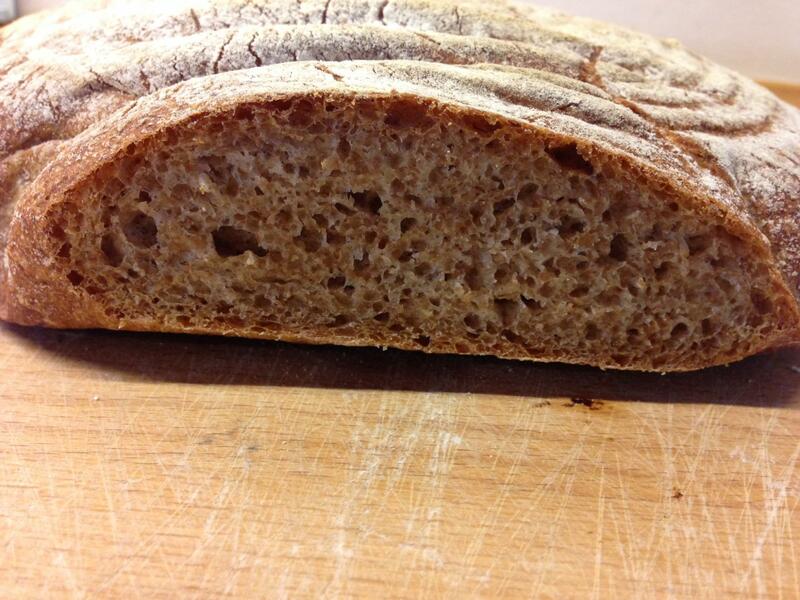 It contains a good amount of large flake oats, and some wholegrain spelt flour, and this makes for a tighter crumb. The honey is just enough to offset the light sour and give another subtle flavour dimension the crust. If I hated sourdough, I feel this loaf would change my mind. Had to make some crusty bread to go with my soup. Captain, Beautiful loaf. Look at that shine on the crumb. Handmixed two 750g batches of dough yesterday morning. 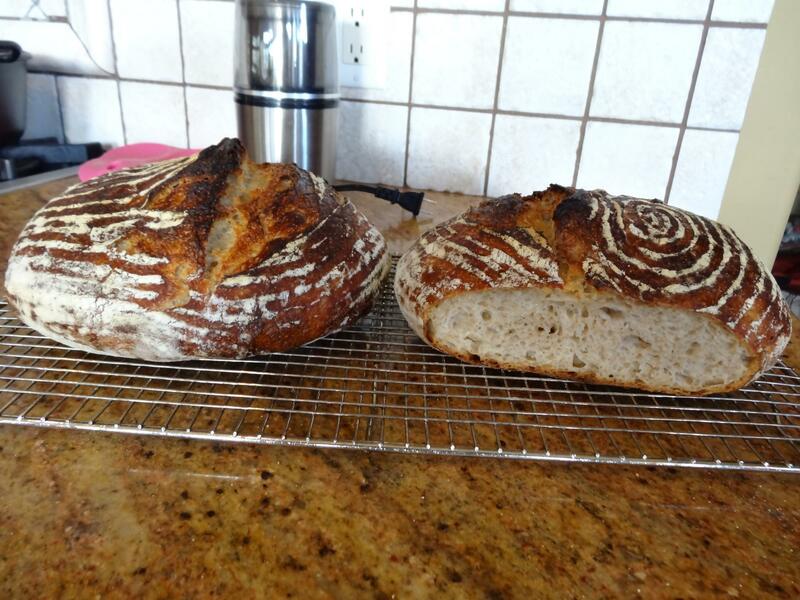 One at 68% (Boules) and the other at 70% (Baguettes). 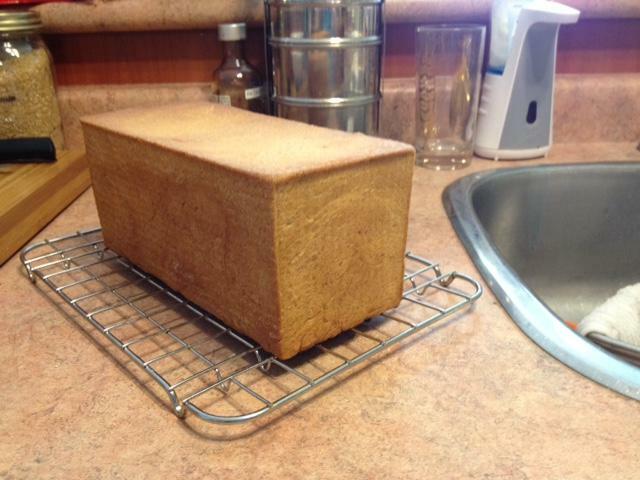 9" pullman loaf - about 400 grams of flour, milk powder, honey and butter. Smells darn good - will get crumb shot in am. @Kerry Beal Kerry, where could I find a pullman pan that does not cost a fortune? I looked at amazon, they sell USA Pan pullmans in two sizes, but dang! They cost their weight in gold. It would not see very much use, but I'd like to try one for a high-percent rye loaf. Got this one on Amazon.com. Yes, my baguette shaping technique needs help. This is first attempt ever. 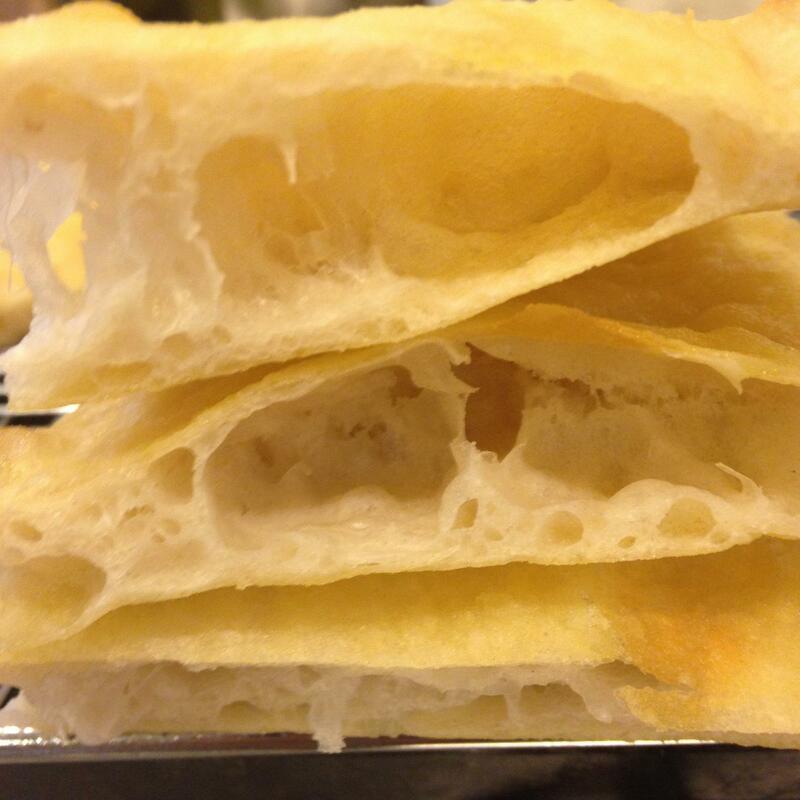 I made a poolish, per Peter Reinhart, and divided it between the foccacia and the baguettes. How is this for shine? This dough was made last Tuesday and refrigerated until yesterday morning. 72% hydration. made two pizzas yesterday morning and had enough dough left for two small baguettes. I sliced one of the baguettes last night for dinner. I hadn't baked bagels in a while and they are always a big hit with my family. Here is a no knead version I just made. I used 200 gm rye flour, 200 gm whole wheat flour and 400 grams bread flour with 8 grams yeast, 20 grams salt and about 600 grams water to make a really sticky mess. MIx it up, let it rise 24 hours, turn out and fold a few times, place on a long sheet of parchment paper and when the thing has risen pick up the ends of the paper and put the whole thing in a preheated cast iron dutch oven. I trim the excess paper and drop in a handful of ice cubes before I put the lid on. Baked at 450 F for 20 minutes then another 20-25 with the lid off until nicely browned and internal temperature is 200-205 F. I let it sit overnight before cutting in to it. 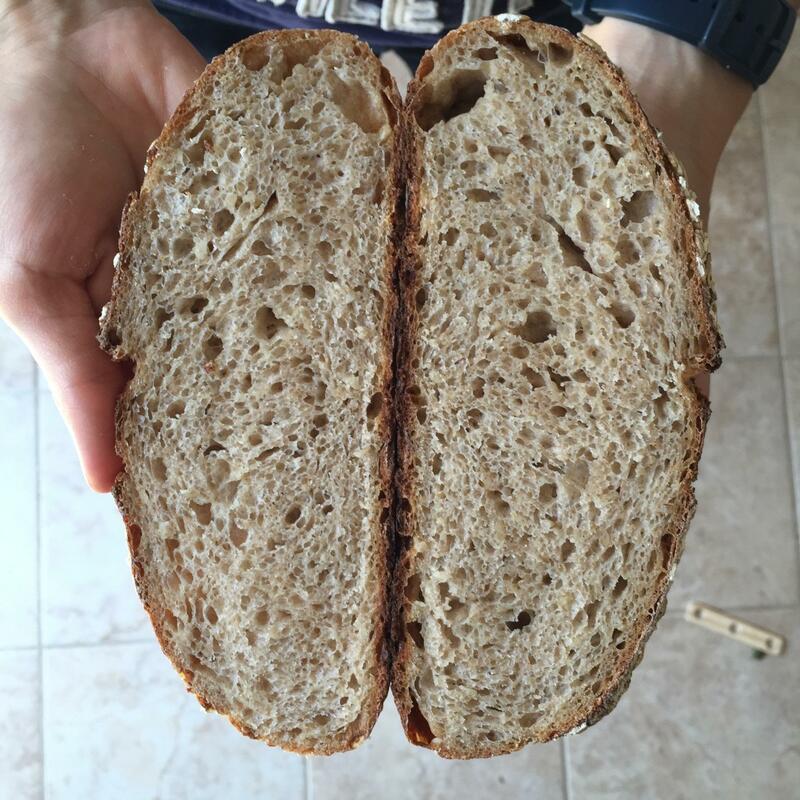 The crumb was tight and the flavor was excellent. Best thing is that it stayed fresh for almost 10 days in the bread saver. On starting the day we had no plans for what we would eat tonight, our main, and often only due sedentary lifestyles, meal of the day. 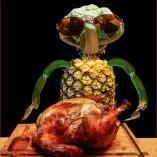 Worry not, we don't starve, we eat fruit etc a volonté if hunger presents. Anyway, we are both working today. I work from home so can manage bread making alongside. As you might know I've found success with Eric Kayser's recipes and having checked with my husband that he would enjoy bread as the basis of today's dinner I was set to make either baguettes or a sandwich loaf. Varients that I can replicate with ease. Checking the larder I noticed a bag of granary flour. Looking through my notes I found that I had used this before with a Kayser Sourdough method (includes small amount dehydrated yeast). I made the mix as always using my stand mixer. Initially the dough seemed incredibly wet. I had noted previously to reduce the water content next time around and as I was heavy handed I reduced it still further today. This is is a last minute question about the best way to complete the loaf. I realise that with time differences etc you might not read the post until we have eaten the result but, in hope of late night or early morning readers it seemed worth a go. After the full 'kneading' time (4 mins slow, 6 mins max speed) a ball had formed but still much wetter than I was hoping. I had been tempted to add perhaps another 20g T55 (white bread flour) at the end of the slow knead but didn't, thinking I would look again after 3 minutes and add then if the stuff was still smeared around the edges of the bowl. By that time it had formed a ball hence no addition. The dough, still in the Kenwood bowl, is sitting for 1h30m in the proofing box. I would begin like this for any make in a day bread. In summer as now it probably isn't necessary to use the box because the kitchen temp is around 20c but being covered the box keeps the dough from forming a skin and free of cat tastings (they like to lick most things) or proddings. 333g granary flour - Allinson brand that includes wheat flour, malted wheat flakes, malted wheat flour, malted barley flour and rye flour. First ingredient will be largest proportion per 100g, last will be lowest. All our flours are stored in sealed containers inside original packaging save the T55 that comes in 25kg bags so decanted into large sturdy and sealed drums. 70g sourdough 50:50 flour/water. Should have been 66g but hand not quick enough. 2g dehydrated yeast, Allinson brand again. No autolyse for this recipe, all ingredients kneaded together by Kenwood from the start. Next stage will be to detach the dough from the bowl onto a floured surface and shaped to go into a banneton. Filled Banneton will sit in proofing box for two hours. After 1h15m I will begin to pre-heat oven and cast iron casserole (not sure everyone calls these by the name casserole, Dutch oven is the same I think). at the end of 2 hours the dough will be tipped onto a sheet of baking parchment that will form a sling to transfer it to the heated pot. Lid replaced it will bake around 20-25 mins, then lId removed for longer as needed. My notes indicate that on the odd occasion I have used this method there have been problems due to the wetness of the dough. 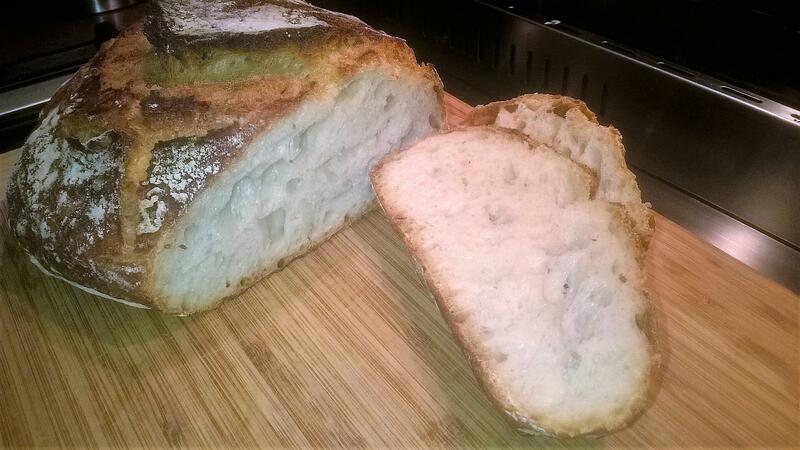 This photo shows an earlier attempt of the same but with 210g water and, probably, 66g sourdough 1:1starter. Good to eat but in my view too flat and dense. Crust fine, light and crispy. I know I won't get the rise I might with a sandwich loaf 'pain de mie' recipe but I would like to move in that direction. I could add some white T55 when I knock back to shape for the banneton, would any of you do this? 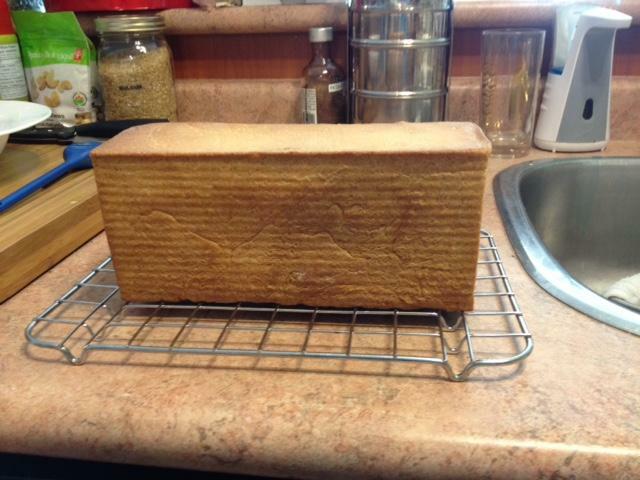 Do you have any more tips that might improve this loaf, or others, were I to start from scratch another time? we both love the baguettes and sandwich loaf but it is good to try something else from time to time and we both particularly like the flavour of Allinson granary mix flour. I do have seeds that can be soaked and added to T55 to produce a grain type loaf, supplied by the mill in France that sells the sacks of bread flour I use. These were a gift from my friend, the intermediary who gets my flour as one is supposed to be a business to purchase from the firm. Never used the grains because I really like the Allinson product andonly make granary bread on occasion. Bread made with those seeds and T55 by my friend is good but not as good in my view. Handmixed the dough on Friday morning before leaving for work. Was in the fridge until just after 4:00 AM Saturday morning. This batch of bread was not made with my usual Roger's Silver Star flour. I was out and didn't make it to Costco last week so had to buy Rogers Unbleached flour from the grocery store. Look what my sweetie made me. Overnight Country Brown Sour Dough from Water, Flour, Salt, Yeast. The flavour was decidedly sour dough. We thought it was going to be 'heavy' because it didn't rise all that much in the oven but it was very light in texture. hugely successful. It is a rye pain de mie and I hope you can see how thinly I can slice it! 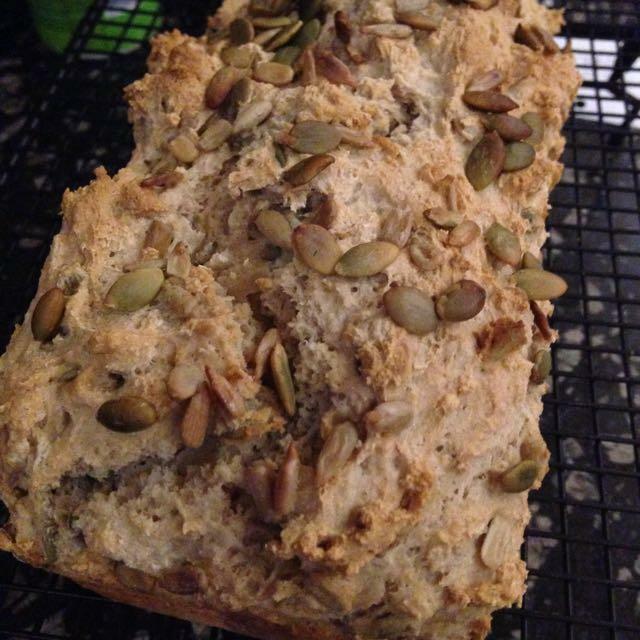 Made the Seeded Quick Bread from the Recipes that Rock 2016 - but instead of a shaped loaf, did it in a pan. Will cut into it in the am and see how it tastes. 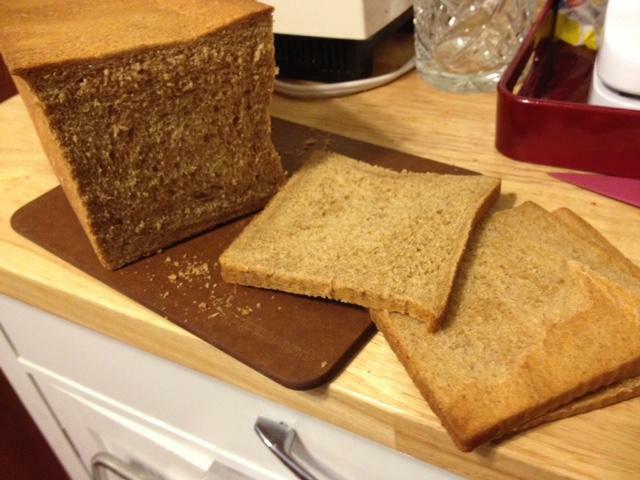 OK, folks, I am bamboozled by the tonne of resources out there, and will freely admit I am not the best breadmaker. I just don't have the knack. 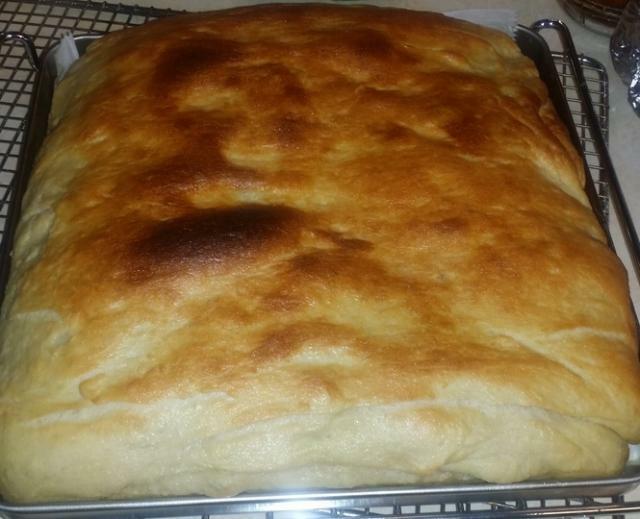 I would like to use whey in my bread, having just discovered home made ricotta. 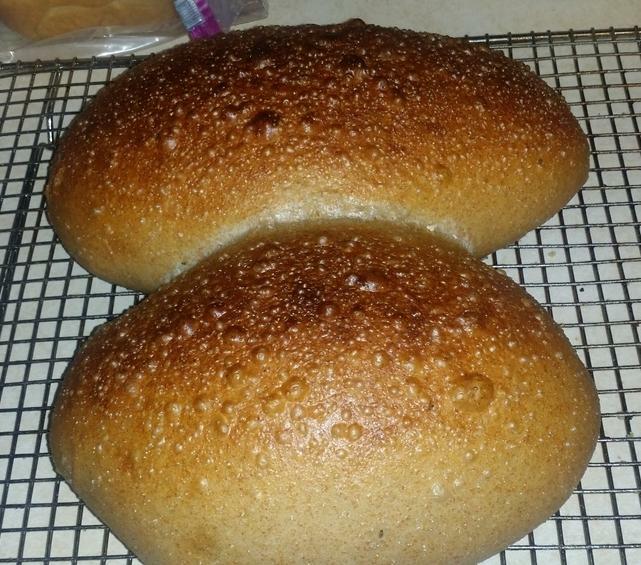 With the last batch I tried a Paul Hollywood basic bloomer recipe twice and both times it turned out decidedly dwarven. I wanted to use the whey from my ricotta in bread. A few days ago I made a loaf of sourdough, and I guess I was half asleep because I mixed the dough and without thinking added water. And then I remembered - the reason I made the loaf in the first place was to use the whey! Duh. I ended up adding some whey anyway (hmmm) because it needed more liquid. Wanted to let it rise in the fridge over night and then shape, proof and bake, but I ended up leaving it in the fridge for the next three days. I finally baked it, and this is the sourest loaf of sourdough I have ever tasted. I usually like a tangy loaf, but this was wicked. Not sure if it's because of the whey or because of the long stay in the fridge (or both). Probably from the fridge time. But I think the whey is responsible for the fine crumb and the nice crust. Tere, I found this: http://wearenotfoodies.com/whey-bread-a-monstrous-ciabatta/ which I think I might try myself next time I make ricotta and have some whey. I'm wondering if I can use the whey in a straightforward sandwich loaf, one of those quickies that is done in about four hours, no overnight anything. I don't see why not. I'm wondering if I can use the whey in a straightforward sandwich loaf, one of those quickies that is done in about four hours, no overnight anything. I don't see why not. I've done that. It works. Saving whey can get away with you. I make more yogurt and ricotta than I make bread. I could fill my freezer with whey. I put it on the dog's food, and have resorted to watering plants with it. Perhaps a dumb question, but I've only recently started doing my own bread and I'm generally happy with the results (despite a couple of embarrassing failures). Until now, I've baked my loaves uncovered until I'm happy with the colour on the "roof", then covered it with foil and continued. Something I read yesterday suggested the opposite. It said I should cover for the first half then colour for the second half of the baking time. To be honest, my instinct is to stick to what has worked for me so far, but I'd like to know what you master bakers think! Something I read yesterday suggested the opposite. It said I should cover for the first half then colour for the second half of teh baking time. An interesting question and I was ready with a slick answer. But on thinking about it I'm curious to hear from others. I wanted to say "at the end" of course but bread baked in a Pullman is covered until the last 15 minutes or so and similarly with bread baked in a Dutch oven. You are baking yours in a small toaster oven and my suspicion is even if you cover it for the first part of the baking you may still have to protect that top at the end anyway.